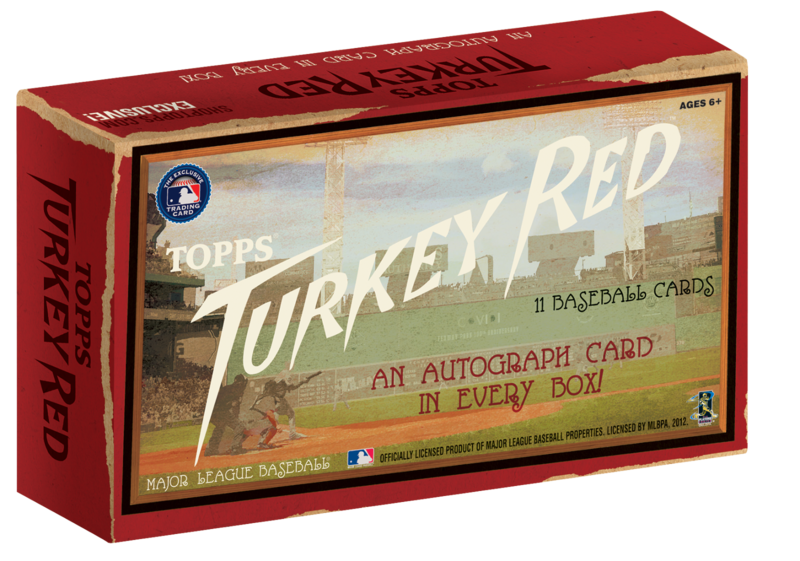 Turkey Red Baseball Is Back! Topps is reviving the Turkey Red baseball brand, which was last released as a stand-alone product in 2007, and will make it available as an online only release that can be purchased through the Topps Online Store. Over the past couple of years Topps has had success with their online exclusives but those were baseball staples like Topps Mini, Heritage High Numbers and the glossy version of Allen & Ginters, Turkey Red may be a different tale because it is a fringe product that caters to specific types of collectors, similar to the disaster that was 2011 Topps Magic football. It will be released in mid-February and each box will contain 11 cards, which includes an autograph. According to a Topps rep more information will be announced shortly. This image that they posted is only a digital mockup of the box so I am guessing that the final packaging will look similar, but designed properly. 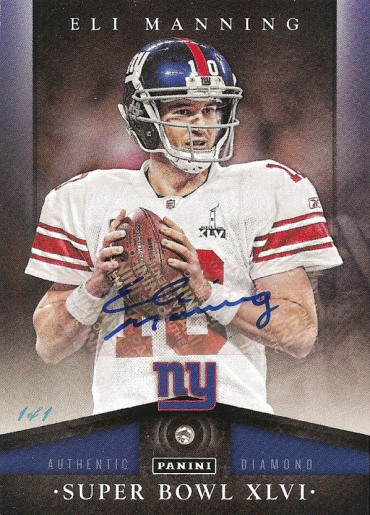 Building on the Super Bowl energy Panini has created a special autograph set to help celebrate Super Bowl XLVII. 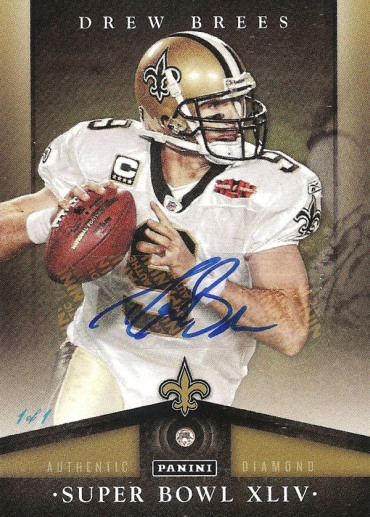 When you purchase any 2012 Panini NFL box (Hobby or Retail) with a MSRP of $60 or more from Panini’s online store you will receive a limited edition Super Bowl XLVII Black Box that contains one randomly selected Super Bowl related autograph card. There are three different autograph sets and they are all limited to #/25 or less including a couple of 1/1 cards. Unfortunately all autographs are stickers. The checklist is pretty solid, consisting of players who played in the Super Bowl plus a handful of 2012 rookies. Currently there are only 7 different products still available on Panini’s online store, 5 hobby boxes and 2 retail boxes. 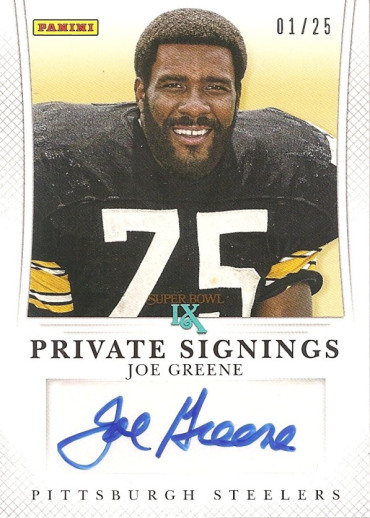 This is the main insert set, the 34 card checklist is made up mostly of offensive players; QBs, RBs, and WRs, with a couple of defensive players; DL and DBs, tossed in for variety. 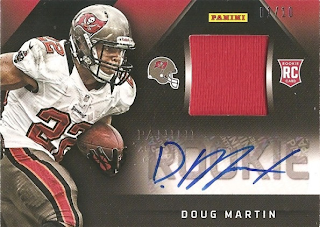 I kind of like the design, very simple with focus on the player (without their helmet) and the autograph. 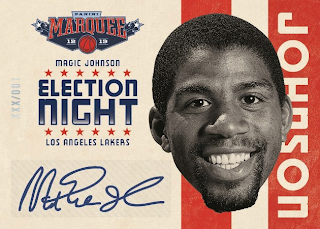 This design would have been ideal for on-card signatures. This 3 card set focuses on three Super Bowl MVP Quarterbacks that have a New Orleans connection; Peyton and Eli Manning and Drew Brees. 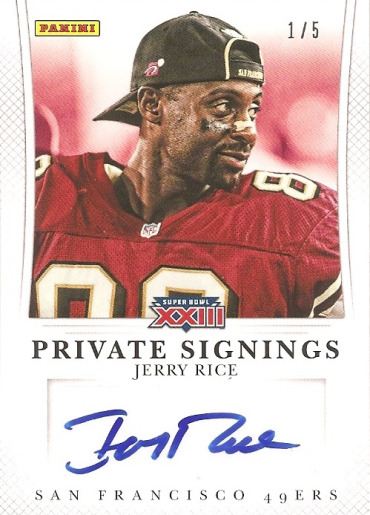 The cards are all 1/1 and include a sticker autograph and an authentic diamond (chip). 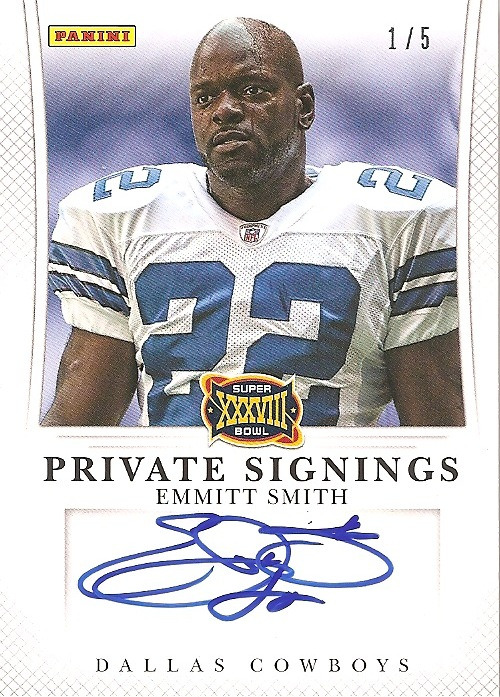 The design reminds me of the earlier Upper Deck Ultimate sets but for some reason I do not like these, maybe because the sticker autograph is placed across the player’s midsection. 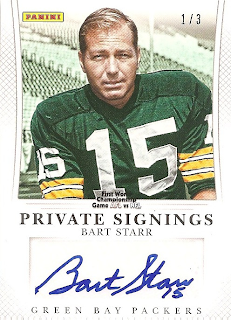 When dealing with 1/1 autographs, they really should be on-card signatures. I cannot argue with this design, it is better than many relic inserts that we have seen recently from Panini and they keep the elements the focus; player (action shot), relic and autograph. They are spaced well and the design flows so I guess we could call this one a win for the Panini designers. Again the autographs are stickers and you would think that with only an 8 card checklist and the cards all #/25 or less that they would have used a patch, or at least a multi-colored swatch, for the relic. 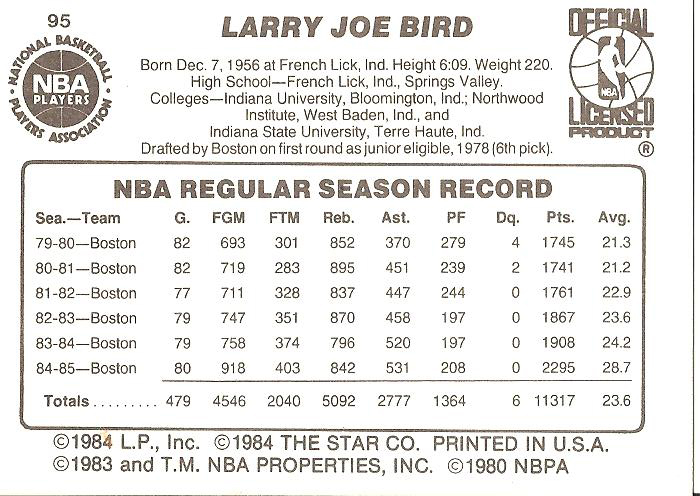 This month’s Vintage Card of the Month comes from a 1980s set, the 1986 Star set. 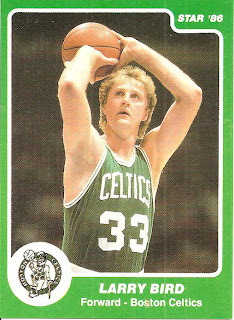 The Star Company had the exclusive NBA license from 1983 through 1986 and these sets included the true rookie cards of Michael Jordan, Charles Barkley and John Stockton (among others). There were 37 total sets released and the cards were so limited in comparison to other sets printed in the 80s and 90s that the highest print run was 15,000, for the 1983 All-Star set, and the lowest was 440, for the 1986 Best of the Old. 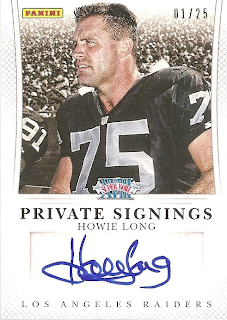 Sets were sold in hobby shops only and they were packed out in team bags. 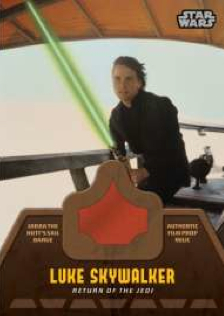 Some of the problems associated with these sets include ink bleed through and off-center cutting. 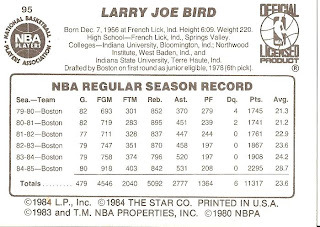 In 1986 Star lost the NBA license to Fleer and the company went under. It did not help that in the late 90s former owner, Robert Levin, re-printed some of his earlier sets for one of those television shop at home channels, thus counterfeiting his own cards. 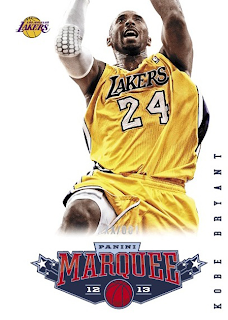 The NBA got involved and Levin eventually ceased his new operations and turned over all unsold cards to be destroyed but there were plenty of re-printed cards already sold, the Jordan and Barkley rookies were among the most popular of the re-prints. I picked up a green Boston Celtics team bag 20 years ago for $40 through an auction house, pre-eBay days when you had to call the auction house and request a catalog, submit your bid through mail or phone and then wait for 7-10 days after the auction closed to find out if you won. Fortunately I picked up the set before the re-prints in the late 90s so I know that this is an original set. 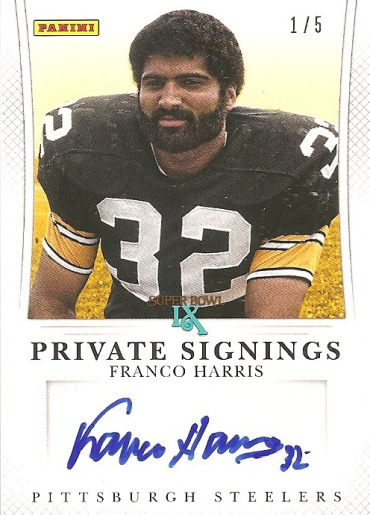 The front is in great condition, there is a small divot in the upper right corner and the card is cut a little off-center but otherwise great color and no bleeding ink. The back is plain white with text covering a bio and stats. The back is also cut off-center but otherwise in great condition. I know that many people do not consider the Star basketball sets to be official releases but there are plenty of Star fans out there, just do a search for the sets and you will see what some people are willing to pay. Currently there are 8 of this Larry Bird cards for sale, 7 white versions and 1 green version. 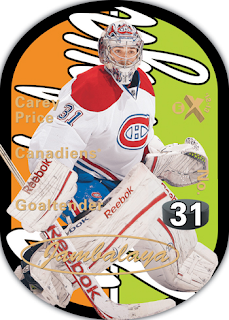 The green version is graded BGS 9 and has a $239.98 BIN/BO price. Most people, including the players, do not take the Pro Bowl very seriously. There have been recent changes to make it more visible but it is still played in front of half-empty stadiums by players who are only there for a Hawaiian vacation and a bonus paycheck. For decades companies have included Pro Bowl inserts and subsets in releases, including relics in some recent sets. 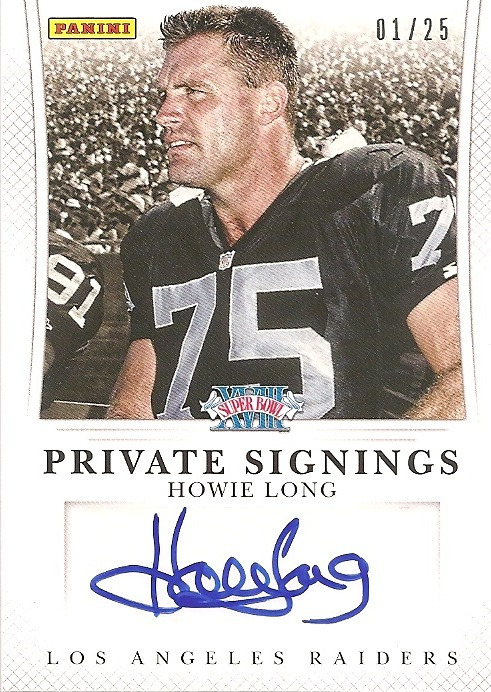 While Pro Bowl sets do not really draw much attention outside some of the very limited cards there is one image that I hope makes it in to a set this year. 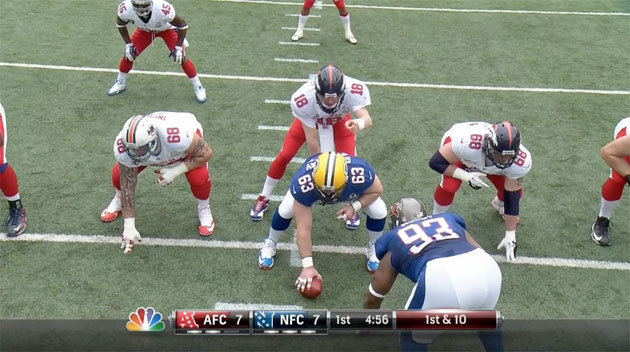 With 5 minutes left in the First Quarter Jeff Saturday switched over to the AFC team for one last snap to Peyton Manning. 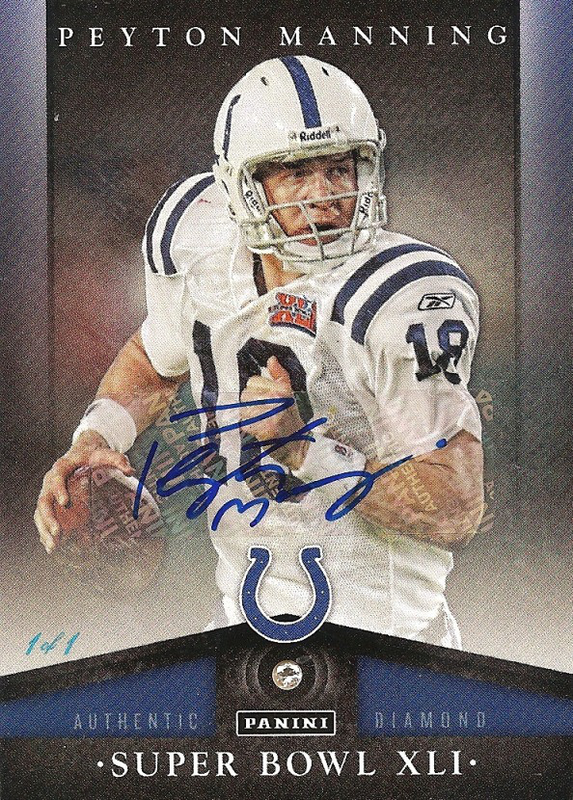 Jeff Saturday, who announced his retirement this weekend, spent 13 of his 14 seasons snapping the ball to Manning and since his first NFL snap was to Peyton Manning it seemed appropriate for Saturday’s final NFL snap also be to Peyton Manning. 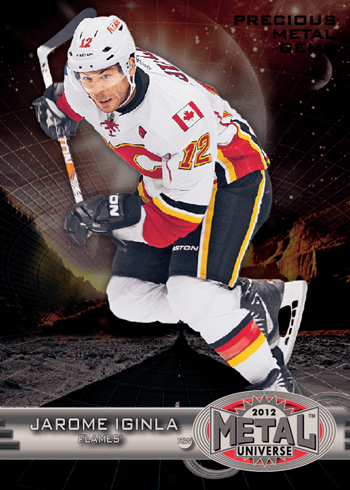 The next sport to get the Fleer Retro treatment from Upper Deck is hockey. 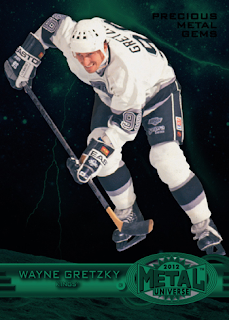 Fleer Retro Football is set to hit shelves in a couple of weeks with Fleer Retro Hockey scheduled for an April release. Each 20 pack master box (Two 10-pack mini-boxes per master box) will run in the $300-400 range and include 6 autographs plus 4 rare 1990s inserts. 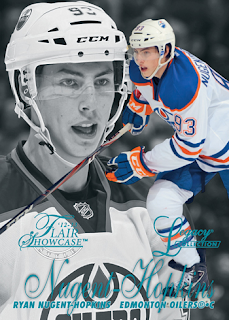 Because Upper Deck has an NHL license this will be the first set that includes professional teams and logos, which is going to be a huge upswing over the football release, a necessity considering that the NHL lockout has led to some collectors to step away from the sport. 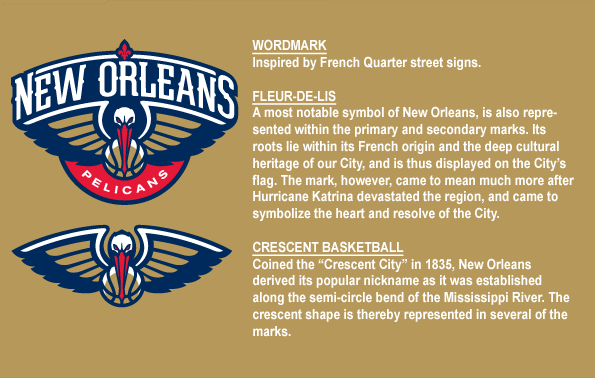 In early December I wrote a post about the New Orleans Hornets possibly changing their name to New Orleans Pelicans, it turns out that the rumors proved true. Last night the New Orleans Hornets made an announcement that beginning next season they will be known as the New Orleans Pelicans. I would not be surprised if the Charlotte Bobcats try to reclaim the Hornets name now. They have released images of the 5 new Pelicans logos and Tom Benson said that in the coming months they will present the new uniform. 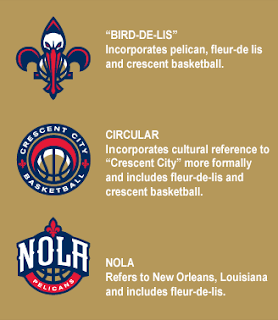 I like the main logo, it is pretty difficult to make an intimidating Pelican but the designers did a great job, plus they incorporated Louisiana and New Orleans culture in to the design. 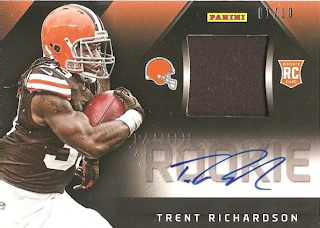 I figured it was time to do a random blaster break, the product? 2012 Panini Crown Royale. 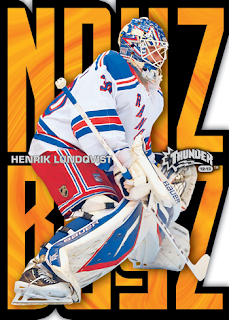 Panini brought back the brand a couple of years ago, 2010, and one of the big hits from the product has been the Rookie Die Cut Silhouettes. Personally I prefer the 2010 Silhouettes over the 2011 and 2012 versions, but they each have their own merit. I know it is shameful but I also like the 2010 Royalty relics. This year Panini added in the die cut Panini Choice autographs, a salute to the old Pacific Cramer’s Choice cards. I loved these cards back in the Pacific days and I really dig the Panini version. 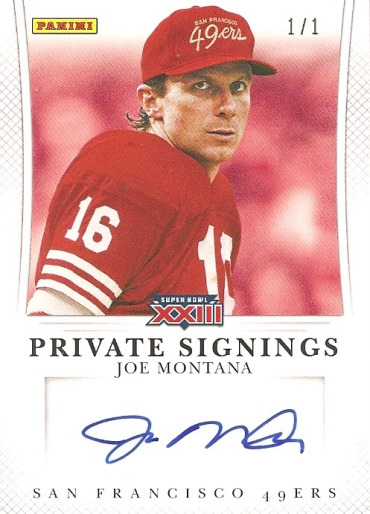 After using a vertical design the last two years Panini has returned to the horizontal design used by Pacific in the late 90s and early-2000s. 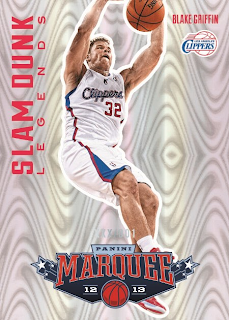 I prefer this design because it does stay true to those sets, something I am sure Pacific collectors appreciate too. I pulled a decent variety of players, only a couple of rookies but a pleasant collection of veterans beginning with a couple of record breakers/near record breakers. Calvin Johnson Jr. broke Jerry Rice’s record for total yards in a season with one game left on the schedule. He needed only 108 yards in the final game, against the Chicago Bears, to be the first receiver to ever top the 2,000 yard mark. He came up short with only 72 yards in the game, 36 yards short of 2,000. But, he still had an amazing season and he beat the Madden Curse to boot. Adrian Peterson proved to be a monster too, coming back from knee surgery he was not expected to do as well as he did. 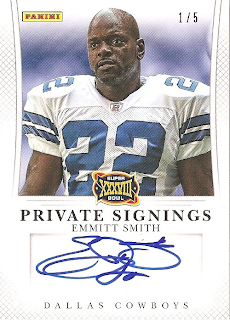 He closed out the 2012 season with 2,097 rushing yards, just 9 yards short of Eric Dickerson’s record. It was a bitter sweet moment, he missed the record but by winning they made it in to the Playoffs. I pulled only 2 Cardinals and 1 Seahawk, with the Cardinals I pulled a pair of lackluster players who did very little to help the team. Kolb helped the team to a 4-2 start but then got hurt and went on IR for the remainder of the season. Due $11 million in 2013 Kolb may be gone before too long, possibly being replaced by Alex Smith. 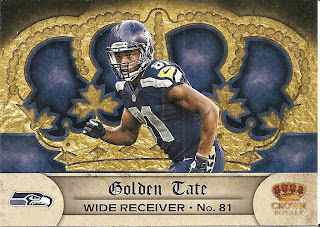 Golden Tate stepped up for the Seahawks this year, amazing what a good QB can do for a receiver. His 2012 total topped his totals for 2010 and 2011 together. Hopefully he will continue this trend for the team next season. A pair of players from each of the Super Bowl teams is next. A couple of Kaepernick’s targets in Randy Moss and Vernon Davis. With a Super Bowl win Moss can go out with the cherry topping to a potential Hall of Fame career. With the Ravens cards I have a young star coming up in the league and an old star closing out his career. Torrey Smith has been a steady producer for the Ravens, he had 50 receptions for 841 yards and 7 touchdowns last year and 49 receptions for 855 yards and 8 touchdowns this year. Ray Lewis is finishing his career, set to retire after the Super Bowl. He already has one Super Bowl ring and would love to add a second ring before heading in to the Hall of Fame. 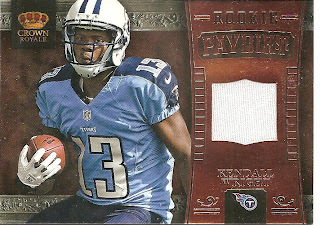 I pulled three rookies total, two base rookies and one die cut rookie card. A couple of Chargers lead the charge (had to go with the pun); Melvin Ingram and Brandon Taylor had two very different seasons in San Diego. Ingram played in all 16 games, starting 2 games, and was a solid linebacker for the 9th ranked defense. Brandon Taylor played in 4 games, starting one, but his season ended when he tore his ACL in late December. 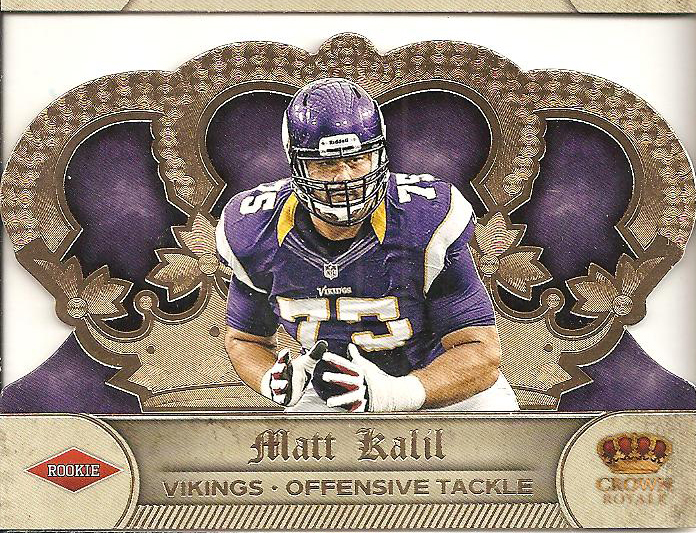 The die cut is Matt Kalil, the #4 pick from the 2012 NFL Draft. 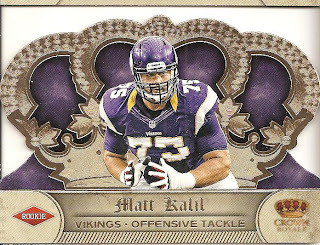 Kalil added a needed piece for the Viking’s offensive line that gave up 49 sacks in 2011, a number that dropped to 32 in 2012 plus the guy had a total of 1 holding penalty all season, one freaking penalty. The guy made it to the Pro Bowl too, as an alternate, but still a nice way to start a career. You will notice that the inserts all seem very similar, a brownish-gray artistic background highlighted with silver foil. I pulled 4 inserts, a Schaub Pivotal Player, a Mario Williams Field Force, a Moss NFL Regime and a Kenny Britt Majestic Motion (I forgot to scan it in so no picture, but it looks very similar.) I mean they are decent but I do not like that they are all almost the same exact card. There should have been some design changes to differentiate the cards enough to where they are obviously from the same set but not so similar to the point where you have to really inspect each card to see which insert set it belongs with. I close out with an unexpected hit, a Kendall Wright Rookie Paydirt jersey relic card. 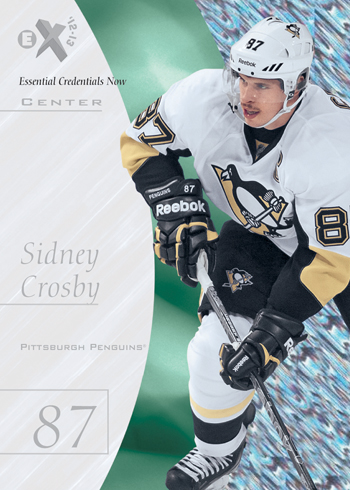 I like these cards, there is a nice action photo of the player and the jersey relic is situated nicely to the side. 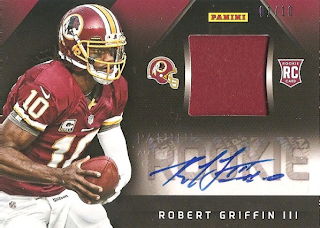 The jerseys are from the Rookie Premier so they are not game used, but there are limited parallels that include multi-colored patches. Wright played in 15 games before injuring his ribs, he had the most receptions on the team with 64 and the second most receiving yards with 626 and this is with Hasselbeck and Locker throwing to him. Imagine if Locker gets better over the next couple of seasons what Wright’s numbers are going to look like. Consider he played at Baylor last year with RG3 and he ended up with 1,663 receiving yards and 14 touchdowns and that was in 13 games. Only time will tell. I am a Star Wars nerd; I have been since I saw the original Star Wars (pre-New Hope tag line) in theaters when I was 5 years old. I played with action figures, read the comic books and some of the novels and I have collected the cards. 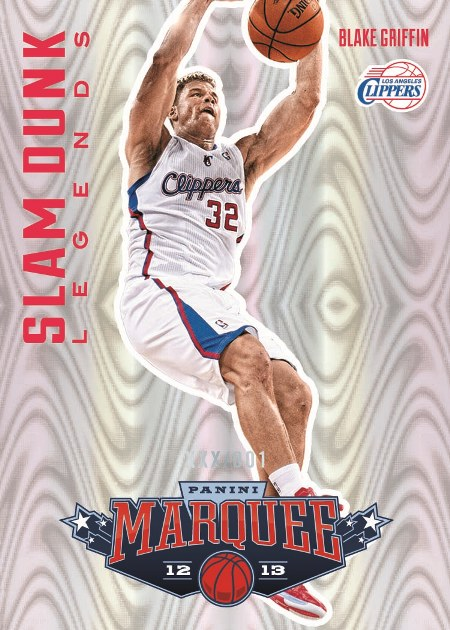 Over the last decade or so sets have been hit or miss, some were well designed while others were disappointing. 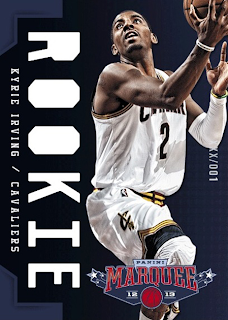 Last year Topps released Galactic Files, easily among the best sets available. 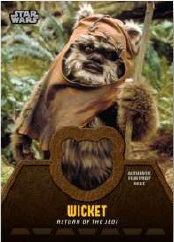 This year they are proving that Galactic Files was not a fluke; Topps is set to release Jedi Legacy in May. 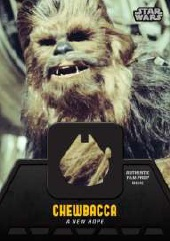 Topps is including the first ever Star Wars relics in the set, Chewbacca’s fur, an Ewok’s fur and a piece from Jabba’s sail barge. How cool is this? 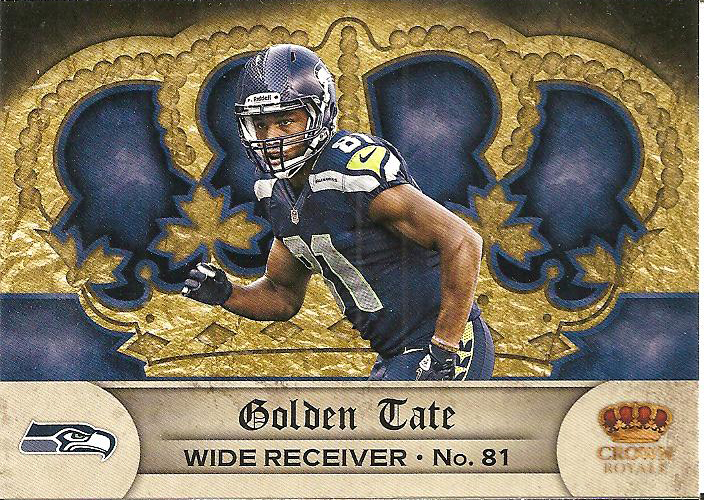 I love that Topps is using different die-cuts for each card that represents the relic. 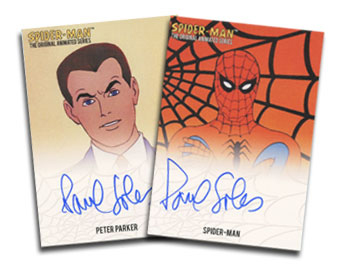 Rittenhouse Archives will be releasing Spider-Man The Original Animated Series Lenticular Motion Trading Cards set (wow, that is a mouth full) on Wednesday. The set consists of 9 lenticular cards based on the original 1967 Spider-Man animated cartoon and two autograph cards from Paul Soles, the actor who voiced Peter Parker/Spider-Man, limited to #/250 for each card. Each set runs $100 and you get all 9 lenticular cards plus one of the two autographs, if you buy two sets from Rittenhouse you will be guaranteed to get both autographs. I grew up watching this cartoon during the 1970s (in reruns) so I would love to pick up a set, Rittenhouse has done very well with entertainment cards and I am sure this will be a nice set too, but no way would I drop this kind of money here. 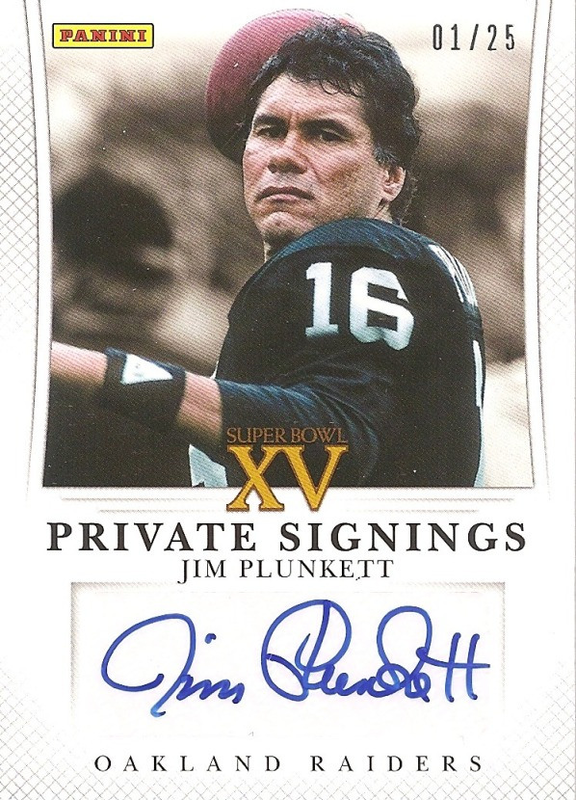 Here is the problem, besides the two autograph cards Rittenhouse has not released any information or preview images of what the 9-card checklist looks like. 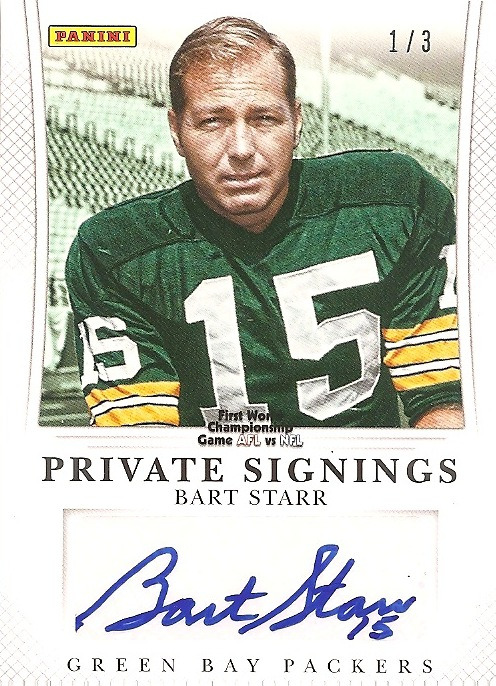 It is extremely difficult to justify purchasing a $100 set without seeing any of the cards let alone a set that consist of only 9 cards and an autograph. Sadly I expect to see sets, minus the autographs, showing up for $10-15 on eBay within days of the release and that is when I will probably purchase a set. Every so often I come across a product that has me speechless, something that leaves me unable to explain in depth my feelings about the set (good or bad), which is rare because I usually talk too much. 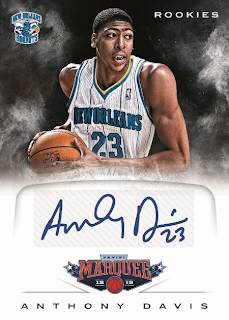 I am just at a complete loss for words when it comes to this upcoming Panini basketball release. Maybe “appalling” or “dreadful” might work; I am not sure what to say really. Each box (No SRP announced yet) will contain 20 packs with 8 cards per pack. 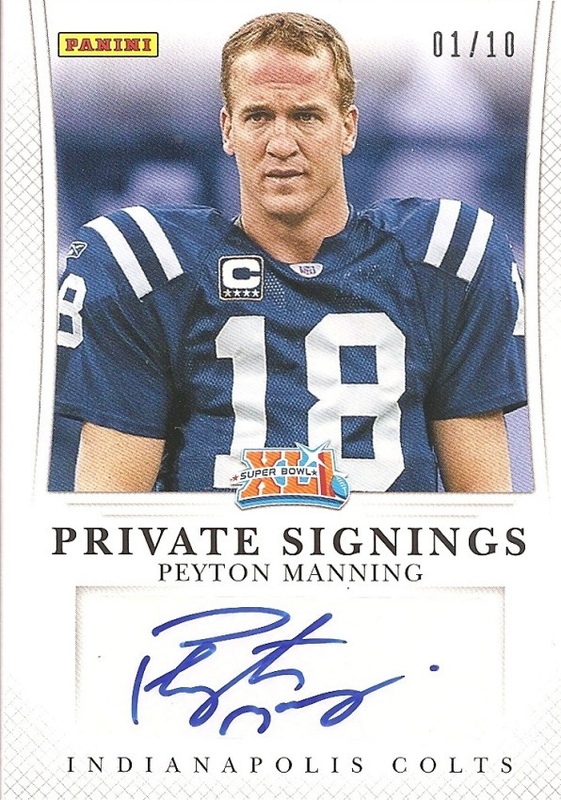 You will pull 3 autographs and 35 rookie cards. 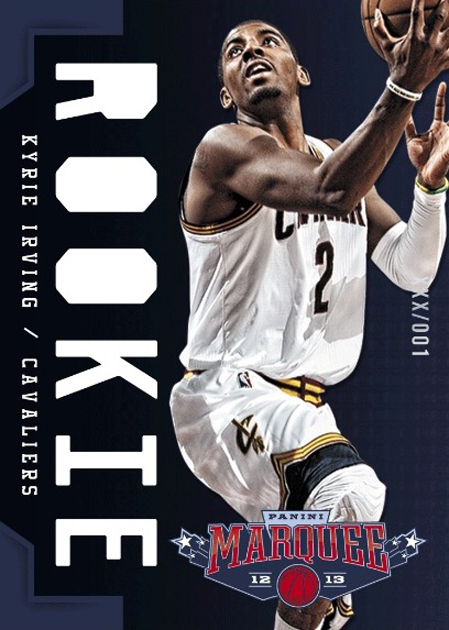 There are 5 different rookie subsets (all part of the 150 card base set) and 10 different inserts; which includes 4 player autograph insert sets, 1 coach autograph insert set and 5 uniquely designed inserts (Panini’s words, not mine). 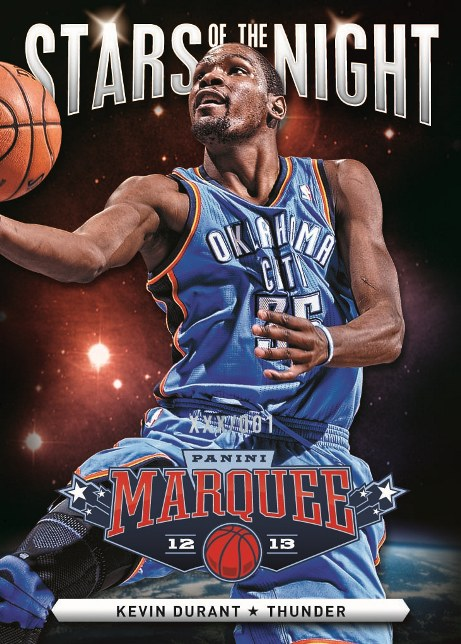 Some of the technology that is being used in the set and inserts include Swirlorama (The Griffin Slam Dunk insert), Black Holographic Film Board (The Durant Stars of the Night insert), Acetate (The Bryant Champions) and Laser Cut (The Irving Rookie card). Elaborate Hoax Or Publicity Stunt?